CPUT’s reputation as a premier design school is being cemented by the excellent work being displayed by graduates and students at the Design Indaba Expo. 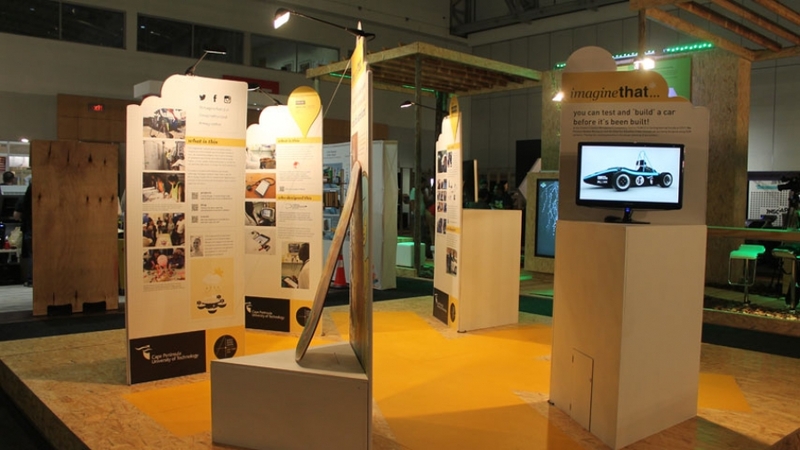 A number of alumni, who now enjoy profitable careers in various design disciplines, as well as current students, are displaying their work at the eagerly anticipated expo which is happening at the CTICC until March 2. 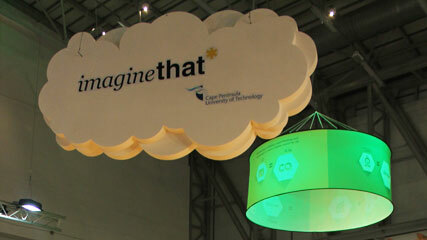 CPUT has a bold presence at the event with their own stand which is an interactive representation of the imaginethat* website. The stand was a joint collaboration between Industrial- and Graphic Design students and lecturers and aims to create public awareness of the ground-breaking innovations happening at CPUT like the mTRIAGE emergency medical kit which can be used to quickly assess a patient’s vital statistics in combat situations. CPUT is also running an interesting treasure-hunt style competition that encourages Design Indaba visitors to find their alumni and staff at the event by identifying them through a yellow asterisk badge they will be wearing. 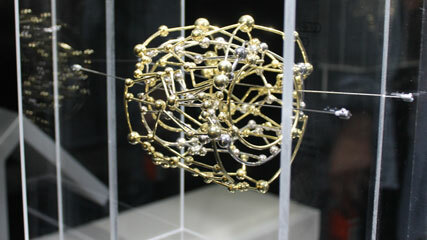 Jewellery Design has one of the strongest showings of all courses with three of our students currently in line to win the AngloGold Ashanti Celestial Origins competition and at least seven graduates displaying their unique designs. Projects and Events Co-ordinator Munira Allie says CPUT’s dominance at the event is affirmation of the excellent quality of courses on offer at the institution.